Can you ever have too many recipes that use ripe bananas? Since we regularly end up with extra bananas, I like finding ways to use them that go beyond our regular banana bread. 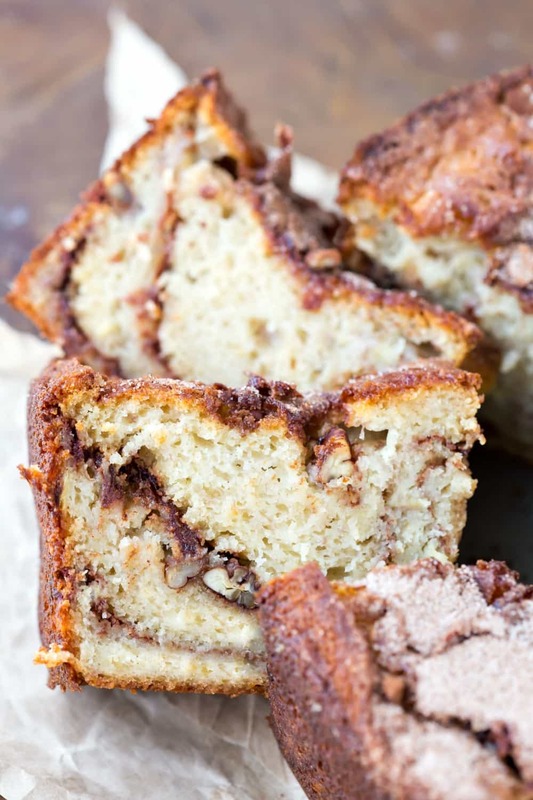 This Banana Cinnamon Swirl Coffee Cake is moist and tender. 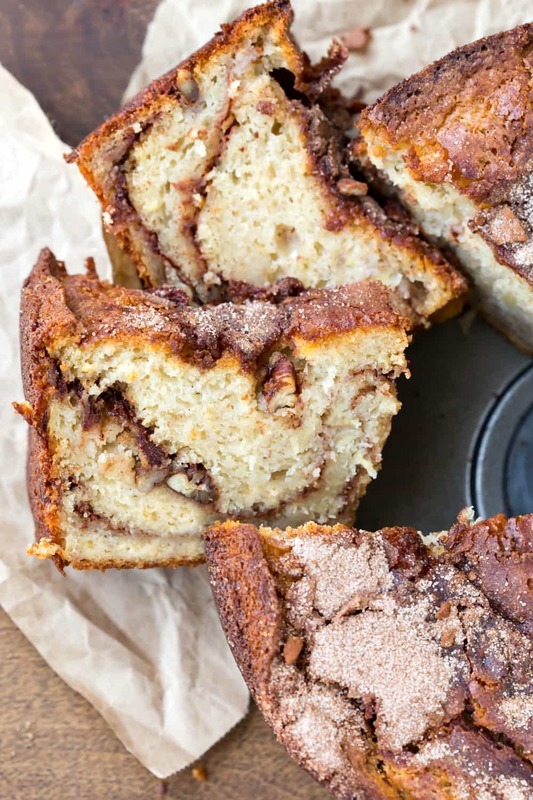 It has a cinnamon swirl throughout the cake and is topped with a generous sprinkle of cinnamon and sugar. So, if you’re looking for a delicious new way to use up your bananas, give this cake a try! Preheat oven to 350F. Grease a 10-inch tube pan; set aside. In a large bowl, beat together butter and 1-1/3 cups sugar until well-combined. Add in eggs, and beat well. Mix in Greek yogurt, banana, and vanilla until well-combined. Add in flour, baking soda, and salt. Stir in until just combined. Pour 1/3 of batter into prepared tube pan. In a small bowl, combine remaining 2/3 cup sugar, cinnamon, and pecans. Sprinkle 1/3 cinnamon mixture over batter. Repeat layers using remaining batter and cinnamon-sugar mixture. Bake for 50-75 minutes, or until a wooden toothpick inserted near the center comes out clean. Cool for 10-15 minutes in the pan before removing to wire rack to finish cooling. Baking this as I write. The smell is wonderful. I can’t wait to try it. I wonder how easily it will come out of the bundt cake pan? I don’t see the coffee in the ingtedients. Where is it supposed to be? How much? There isn’t actually coffee in a coffee cake. They are cakes that are traditionally served with coffee, which is where the name comes from. How long does this coffee cake last? I have made it before but it was eaten very quickly last time! We’ve never made it past a day! =) I would guess 2-3 days, but I’m not sure. YUM! I love this combo in a bundt cake!!! 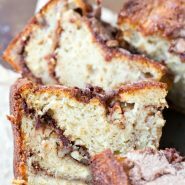 You can never go wrong with cinnamon and banana flavours together… this coffee cake looks so moist and delicious. Definitely saving the recipe!